That was the considered opinion of a staunch Conservative supporter I spoke to the other day as we discussed the Lib-Dem surge and Cameron’s weak showing in the first TV debate. Though he improved in the second, it was only to draw level with Nick Clegg. And that’s not good enough to deliver a majority Conservative Government. Time is running out for a Tory revival. Many Conservatives gritted their teeth and went along with the new model party with its centrally-imposed shortlists, its favoured candidates, its dubious economic policies and its abandonment of grammar schools. They even swallowed the abandonment of the “cast iron guarantee” of a referendum on the Lisbon Treaty. They were willing to change and compromise because they felt it was a price worth paying for the promise of a Conservative Government. Half a loaf is better than no bread. A watered-down, pale-blue, Blairite Conservatism was, in the eyes of most of the party’s long-term supporters, an attractive proposition compared with the alternative of another five years of Old Labour with added Harperson political correctness. Now there is a serious danger we will be lumbered with the worst of all worlds – Old Labour, Herpersonism and added Lib-Dem lunacy on Europe, nuclear weapons and immigration. Worse still, a Lib-Lab coalition would undoubtedly press ahead with electoral reform landing Britain with smokeless smoke-filled rooms and horse-trading, unstable Government for ever more. It’s not too late for the voters to see sense and reject the telegenic Mr Clegg’s blandishments. But I wouldn’t bet on it. 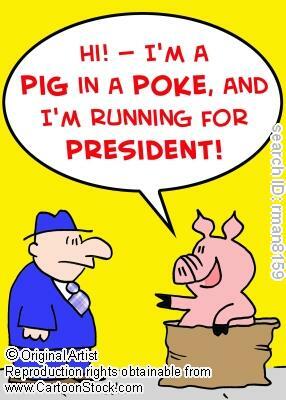 The people who voted for “dancing pig” John Sergeant or the hopeless Jedward twins are not likely to be deterred from enjoying this opportunity to go for the political underdog. They are especially likely to back the Lib-Dems on the grounds that by doing so they deliver a slap in the face to both the mainstream parties. Before the TV debates, it seemed disillusion and discontent with the whole political class was only likely to find expression in votes for fringe parties and maverick independents. It wouldn’t have been a mass movement or made much difference to the outcome of the election. Now, however, the voters have a focus for all that unhappiness. Nick Clegg may be a posh public schoolboy whose entire career has been in and around politics. But, for many, he is still the outsider and that, alone, is why they will vote for him. He may be a novelty act with no serious track record – but that’s what David Cameron was relying on to propel him into Number Ten. Suddenly Cameron is being seen as part of the problem, not part of the solution. He has been badly let down by many of his MPs. The Tories were no worse than Labour in the Great Expenses Scandal except that they chose to claim for more baronial items – duck houses, moat-cleaning, tennis-court maintenance, wisteria-cutting and so on. There is now a real prospect of the Conservatives losing a fourth General Election in a row. The blame for such a terrible outcome will be spread widely but in the end it comes down to leadership. If David Cameron does not win, his followers will not only feel he has betrayed them, they will feel they have betrayed themselves and their own political instincts. Politics may be the art of compromise but all the concessions Cameron has demanded from his loyal party members were part of a deal. Members reluctantly accepted the abandonment of some of their principles because, they were persuaded, only then could the party win back power. Now it looks as if Cameron won’t be able to deliver his side of the bargain. When Sajid Javid stood for selection as the Conservative candidate for Bromsgrove a few weeks ago, he was asked what legislation he would bring in if he had the chance. Mr Javid, a bus-driver’s son who went on to become a successful banker (should we hold that against him? ), announced he would bring in a Bill to make St George’s Day a Bank Holiday. That went down well with the Tory ladies whose votes would decide who took over from Julie Kirkbride as MP for what is probably even now a safe seat. This may have been political opportunism on Mr Javid’s part. As a Muslim, he would have known that something patriotically English would help win over any sceptics. Even so, it is evidence that the desire to celebrate English patriotism is gathering pace. The Welsh, the Irish and the Scots all make a big deal about their patron saints but, until recently, the English have been reluctant to celebrate St George. That’s partly because the flag of St George is closely associated with football hooligans and right-wing nutters. Yet there is a growing sense that England is losing its unique identity in the multi-cultural melee that is Britain today. A week after St George’s Day, we get the May Day Bank Holiday. This was introduced by the Labour Government in 1978 to mark International Workers’ Day. In Moscow they still parade tanks and rockets past grey old men in the Kremlin. Why do we get a day off to celebrate Socialism around the world when poor old St George is almost universally ignored? Our rulers – civil servants, politicians, the BBC and other members of the New Establishment – hate the very idea that the English should assert their own nationalism or celebrate the glories of our nation. To them, the words “English” and “racist” are synonymous. Only on the sports-fields of the world is it politically correct to celebrate English patriotism. Yet there is an overwhelming desire among the people who live in this country to assert our independence and individuality. A new ICM poll by Power2010 shows growing support for an English parliament and English votes on English laws. This is especially important if, as now seems highly likely, we end up with a hung parliament after the General Election. The Scottish and Welsh Nationalists are desperate for such an outcome because they think they can squeeze a cobbled-together Westminster Government into giving even more concessions to their parts of the United Kingdom. That would further entrench the unfairness and imbalance between England and the other three – much smaller – parts of the UK. Already the Scots enjoy all sorts of concessions denied to England and yet subsidised by the taxpayers of England – from free prescriptions to free university places for every student in Europe except anyone from England. If the English were invited to vote on Scottish independence, we might well come down in favour of it. In the meantime, the least we can expect is that Scottish and Welsh MPs, whose devolved governments make all the decisions in their own countries, must be denied the right to change the laws of England. And when we finally get our independence, we should celebrate by making St George’s Day a Bank Holiday. The English may well be a mongrel race but this is a green and pleasant land and, despite all its many drawbacks, we should be free to express our pride and affection for it. What better than to ditch international socialism and give St George his rightful place in the calendar? St George is on the march. Across the country, people are organising parades and events in his honour – though last year Sandwell tried to ban theirs on the grounds that it would be taken over by racists. Actually, it is the critics of “the English” who are the real racists. We are constantly insulted by our near neighbours and we’re expected to endure it in silence. 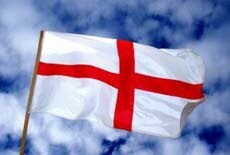 We must be free to assert our own nationality in our own country, otherwise “God help Harry, England and St George”. Could Cameron become the new Kinnock? Nick Clegg is almost as popular as Winston Churchill was in 1945, allegedly. Not much encouragement for the Lib-Dem leader, then. After all, Churchill lost the General Election that year despite defeating Hitler. We shouldn’t get too excited about the Lib-Dem surge. Mr Clegg has still got two TV debates to go and suddenly the underdog outsider will be the centre of attention. Can he really maintain his position under intense scrutiny now the novelty is wearing off? The problem for David Cameron and Gordon Brown is that in the Commons they can ignore the Lib-Dems and encourage their MPs to laugh them off as an irrelevance. They can’t do that now Mr Clegg has been given equal billing. And if they attack him too vehemently, uncommitted observers may well come to his defence. The British sense of fair play, which even worked in favour of Nick Griffin when the BNP leader stumbled through “Question Time”, will work in Mr Clegg’s favour if the other leaders gang up on him. It will, among other things, show that nothing can change. It will suggest we are stuck with a two-party system where the main parties put their own narrow interests ahead of the country’s. As a result, Mr Clegg may win even if he loses. That’s despite the Lib-Dem’s many mad policies, most notoriously their devotion to the European Union and all its works. Still, the person who should be most worried is David Cameron. What worked in his favour to get him elected as Tory party leader has backfired spectacularly. The young, telegenic, charismatic leader has been up-staged by someone who is, in effect, a newcomer on the national stage. Mr Cameron suddenly looks tired and old-fashioned. The real disaster for the Conservatives is that they are not already well in the lead. Tony Blair walked into the 1997 election a good 20 points ahead in the polls. The best Mr Cameron can claim was a ten point lead. And for all his talk of “change”, nobody is convinced that anything very much would change under a Tory Government. For all the dancing on pin-heads involved in the argument about the economy, there is fundamentally no difference between Labour and the Conservatives on the central issue of the election – the public sector deficit. Whoever wins on May 6 will be forced to impose swingeing cuts. No department will escape – not even the NHS where Labour are already working through some pretty significant reductions. There is no way Mr Cameron would reverse those, so even his pledge to protect the health service counts for nothing. The real tragedy for the Tories is that they did not have a coherent economic policy before the recession started. They pledged to “share the proceeds of growth”. This was, on the one hand, an attempt to appease Conservatives who instinctively want less public spending and smaller government and, on the other, a bid to attract wavering Labour voters scared by the Tories’ (undeserved, alas) reputation as the party of cuts and savings. If – before the recession – the Cameroons had made a principled case for lower taxes, less State interference and less Government waste, what they said now on the economy would command some credibility. Instead, they aped Gordon Brown so much they are now tarred with the same brush. His failure is theirs as well because they never offered an alternative – until it was too late. This abandonment of traditional Conservative values was aimed at winning over voters in the middle ground who were disillusioned with Labour but didn’t trust the Tories. That’s why the party has spent the past four years desperately sucking up to every special-interest group and minority it can find. Mr Cameron wanted to prove he had changed his party. He certainly has managed to select a new range of candidates which conforms less to the upper-middle class, white, heterosexual male stereotype he and most of his Shadow Cabinet embody. But it has forced the party to pussyfoot around without any clear messages. The fear of alienating any small group in Mr Cameron’s Blair-like “big tent” means the Conservatives are an anaemic, bloodless version of their former selves. By trying to be all things to all people, Mr Cameron has made the party blurry and indistinct. The only change he offers is the change of not being Gordon Brown. His big idea of the “Big Society” doesn’t resonate with most people. The idea that armies of old folk and school leavers will suddenly get out there and become volunteer social workers may sound quite nice. It may be laudable and right. But it won’t swing an election where the voters are disillusioned with all politicians, dismayed at the state of the economy and desperate for something to change for the better. I have an axe to grind. I was blackballed by Mr Cameron and his cronies because I wrote that Enoch Powell was right to warn that uncontrolled immigration would change the country dramatically. I’m sorry, I have always been sorry, if anyone regarded that as racist. It’s not about racism. It’s about the capacity of this country to accommodate millions more people. Next to the economy, this is the biggest issue facing Britain today. Notably, it was the first question in the first TV debate between the leaders. Nobody was listening to what they said, though, because we were all too busy taking in the novelty of the situation. In reality, though, there is little to choose between the three parties. The tragedy for the Conservatives is that a party which should be marching towards a straightforward election victory is sliding away in the polls. If Mr Cameron can’t deliver an outright victory at a time when the present Government should be utterly discredited then he will go down in history as the Conservative Party’s answer to Neil Kinnock. Kinnock, you will remember, spectacularly threw away the 1992 General Election when he had everything going for him. Until now, I have been pretty sure Mr Cameron would get in with a majority of about 30. Not that I’ve been looking forward to such a victory but because it seemed to me this was an election no half-way competent Tory leader could possibly lose. Now, I am not so sure. I do not believe the polls will stay as they are. Mr Clegg won’t be the shiny new golden boy by polling day. He and his policies will be exposed and largely discredited. He won’t be telling his members to go back to their constituencies and prepare for Government but some of his popularity will stick. The blame for this rests squarely on David Cameron. He failed to set out a radical and real alternative to the present Government when he had the chance. He talks of hope but his leadership has been marked all along by fear – fear of alienating any possible voter other than the traditional old-fashioned Tory who, he believes, has nowhere else to go. And, of course, it was Mr Cameron who had most to lose by agreeing to the TV debates in the first place. Presumably he thought the charm and charisma which worked on the Conservatives five years ago would be equally effective on the nation as a whole. It has even been claimed by his cheerleaders that Mr Cameron’s lacklustre performance was the result of Old Etonian politeness. It’s hard to believe. Unless he can muster up a bit of passion and some raw conviction, instead of big-tent platitudes, he really does risk blowing the election. Still, democracy is a wonderful thing and it may be that a hung parliament is actually what most people want. Nick Clegg may have been the winner but in my view Gordon Brown wasn’t the big loser, David Cameron was. Clegg sounded normal; Cameron’s dry-throated tenor, permanent frown and chubby pink face did him no favours. But, above all, his spin doctors should tell him to stop pursing his upper lip and sticking his tongue out. 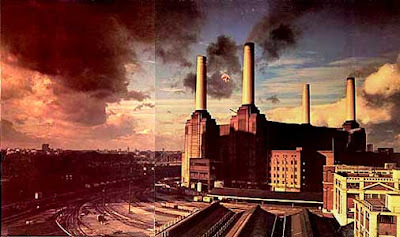 David Cameron is obviously not a Pink Floyd fan. If he was, he'd know that Battersea Power Station is the venue for the cover of their "Animals" album which features a famously flying pig. As they say, "The end of another day. All objectives met. All quotas achieved. All reports in. All customers happy and satisfied. All staff eager and enthusiastic. All pigs fed and ready to fly." A disconcerting e-mail reaches me about the selection of Nadhim Zahawi as the Conservative candidate for Stratford on Avon. Among the claims it makes is that conservativehome, the party grass-roots website, is refusing to post, let alone answer, any questions relating to its links with the polling company YouGov “because of their financial interest in YouGov”. Jonathan Isaby, the web-site's Co-editor, says: "We regularly publish comments that are critical of YouGov on the site, and furthermore we regularly declare that Stephan Shakespeare of YouGov has a stake in ConHome. "In respect of any specific allegations about individuals, we naturally have to be careful when difficult-to-prove allegations about someone's personal financial dealings are made, as would any reputable publication." “Tory win best for economy say top bankers” declares the “Daily Telegraph”. Bad news for Cameron. An endorsement from the most reviled people in the world is not calculated to set people’s minds at rest. Meanwhile, Mr Cameron told the “Today” programme he was in favour of tolls on new roads “to begin with”. In other words, a Conservative Government will almost certainly start imposing tolls on existing roads. It’s a nice little earner and can be explained away as good for the environment. With petrol prices roaring ahead and the £6 gallon on the way, that’s not exactly reassuring for the millions of people for whom the car is still the only way of getting about in this country. David Cameron and Gordon Brown clashed over the rise in the cost of National Insurance again today at the last Prime Minister’s Question Time of this Parliament. Dave says it’s a tax on jobs which puts economic recovery at risk. Gordon says it’s either that or put schools, hospitals and the police at risk by losing the revenue and being forced to make spending cuts. They’re both right, of course. The only question is which one is more right than the other. It’s true the nation’s business leaders have come out against the NI increase. They rightly say it is yet another burden on the creation of wealth and jobs. The snag is that if the Tories cut NI, where will they find the money to balance the nation’s books? Either they will have to cut public spending even more drastically than either party would have to do anyway (Brown’s schools, hospitals and police) or they will have to raise the money some other way. The Conservatives’ sums don’t add up. Neither do Labour’s but you wouldn’t expect them to. George Osborne pulls tax cuts out of his hat and everybody sits up to applaud. He’ll do it again with allowances for married couples. We should be a low-tax economy and our Government should use the tax system to encourage what is best for society. But we have to reduce the State’s dependence on the taxpayer first. That must mean drastic spending cuts – even in the NHS. There is no credibility in the Tories’ ideas for the economy if they insist on protecting the Government’s biggest-spending department, waffle on about efficiency savings and deny they will raise VAT to 20 per cent. Thers many a foule pyg in a feyre cloke. The campaign has only just started but don’t you feel you’ve heard it all before? Worse still, do we seriously think we’ll discover anything new over the next four weeks? There’s nothing to choose between the Tories and Labour on economic policy or anything else for that matter. The small parties, the fringe groups and even the independents will do well. So will the “None Of The Above” party. But they won’t get any MPs and in the end it’s still a two-horse race with only one winner. David Cameron can’t possibly lose this election. He will get a majority of 25 to 30. It would be a catastrophe for him personally, and for his party, if he achieved anything less than that given the incompetence of the Government he will be replacing. There won’t be a hung parliament – that’s just some false hope for the Liberal Democrats, constitutional experts and reporters to get excited about. Talk about hung parliaments takes place in a vain bid to interest us in this dismal democratic process and to pretend the Lib Dems have some sort of serious role in all of this. Mind you, they’re a bigger threat to the Tories than Labour in the sense that they will probably hang on to most of the seats they’ve already got (barring Solihull, which will almost certainly revert to type). They might, if they’re really lucky, pick up a seat or two from Labour. That would be a novel experience for them. But in the end they will stay more or less where they are now, or lose a few seats to the Conservatives. There is a bit of excitement about the possibility of mavericks, marginal parties and independents winning the odd seat or two. That is possible. It would be entertaining to see Nigel Farage get rid of John Bercow, for instance. But by and large the odds are stacked against anyone outside the mainstream. There won’t be a powerful wedge of men in white suits after the next election, no matter how excited people get at the prospect. It’s doubtful if even the three head-to-head-to-head TV debates will make any difference. They’ll only be watched by the committed. And the committed won’t alter their view no matter what their chosen leader may say or do. The undecided will stay undecided. They may conclude the best thing is simply not to vote. So while there is still supposedly “everything to play for”, there isn’t really. The floating voters will float on past the polling stations on May 6 or cancel each other out if they do bother to turn up. And who can blame them? Our would-be leaders will tell us this is the chance in a generation to change Britain (or keep Britain from changing for the worse). That’s nonsense, of course. It’s simply yet another opportunity for the farce of democratic accountability to be played out in front of a paying audience whose views will not, in the end, make a blind bit of difference. We won’t get asked what we think about the EU, for instance, or wars in various far-flung places. We won’t get immigration controls. We will still get Big Government and State interference in every aspect of our lives. The policies of the last lot will be taken up by the next lot with scarcely a pause. Everything from the massively expensive waste that is the 2012 Olympics to the entirely unnecessary High Speed Rail Link will continue to absorb unprecedented billions. We will still have an unhealthy health service, under-educated school leavers, cheated graduates, armies of people dependent on the state from cradle to grave. We will carry on exporting jobs, ingenuity and hope. We’ll carry on bunging bankers big bonuses and sending our soldiers into battle without adequate equipment. David Cameron may be urging us to vote for change and it’s almost certain that we will buy into that. There will be change – there will be new faces in Government, new faces on the back benches, new faces in Opposition as well. In 1997 lots of people felt a new wave of optimism when Tony Blair led Labour to their triumph. Many people felt things really could only get better. There is none of that optimism now. We all know things are bound to get worse whoever is in Downing Street, in office but not in power. A Cameron victory will be welcomed by many people. But they won’t be putting out more flags and dancing in the streets. There will be change but no difference. We are like the people of a banana republic gazing on resentfully as the limousines of the rich and powerful sweep past in the days following the latest coup d’etat. At this election, we will get a change of Government but the more it changes, the more it stays the same. The words “deckchairs” and “Titanic” spring to mind. The writing was on the wall for Labour when Prime Minister “sunny” Jim Callaghan flew home from the Caribbean in the depths of the “Winter of Discontent”. The unions were running wild, with strikes everywhere. Rubbish piled up in the streets. The dead went unburied. Hospitals treated emergencies only. In the winter of 1978-9, punk was taking over. 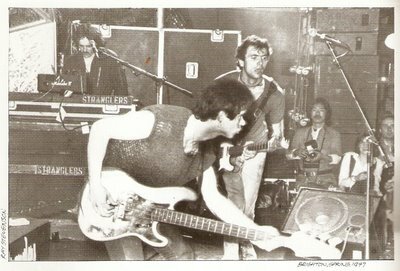 Bands like the Stranglers spat at their audiences in much the same way as the union leaders were spitting at the people of Britain. Labour lost the 1979 General Election to Margaret Thatcher. Callaghan had bottled the chance to hold an earlier election which he might have won. Some things never change. QWe've had an Easter of unrest, a Prime Minister who chickened out of an earlier election, financial chaos and strikes coming thick and fast. Chancellor Alistair Darling even had to brave a gauntlet of pickets on his way to the Commons to deliver his damp-squib Budget. Civil servants walked out again. British Airways is in chaos. We still face rail and gas strikes. Even university professors are threatening to down quills. Is this just a terrible coincidence or a co-ordinated effort by the unions? Many people thought Mrs Thatcher killed off the last of those dinosaurs in the 1980s but it looks as if they’re coming back to life like some monster from beyond the grave. As we all know very well following the BA trolley-dollies’ strike, the Unite union has given Labour £11 million since Gordon Brown became leader. Unite is Labour’s Lord Ashcroft pumping money into Labour seats and running the party’s campaign in marginal constituencies. You’d have thought the unions – which, in effect, own the Labour Party – would not want to bring down this Government. They way they are behaving suggests they’d like to see Labour kicked out in much the same way that Jim Callaghan’s lot were ousted in 1979. It looks as if pre-election strikes are part of a long-term plot to gain control over Labour when it’s in Opposition and turn it into the left-wing Socialist party the unions have always yearned for. Leaked e-mails from union barons show they are determined to get more value for their money. The unions may be flexing their muscles as a warning to the Conservatives – and, possibly, the voters – that there is much worse to come under a David Cameron Government. Mr Darling’s Budget skirted round the terrible black hole in the Government’s finances. After the election, someone must start filling it in. That means higher taxes and public spending cuts. Look what’s happening in France. President Nicolas Sarkozy’s plans to cut public spending have led to humbling defeat in local elections and nationwide strikes. Of course, it could be our union barons are simply the dumb, pig-headed bullies they always were. They certainly have no concern for the best interests of the people who pay to keep their members in jobs. But it is baffling to watch them hammer the final nail into the coffin of this Labour Government. Gordon Brown doesn’t really need their help to lose the election – he’s got taxi-for-hire Stephen Byers, Geoff “Buff” Hoon and Patricia Hewitt to secure defeat for him. Even so, if the unions own Labour and they want to use their power, you’d think it was in their interests to get Mr Brown re-elected rather than see the Conservatives take over. Yet every strike or dispute so close to the election is another good reason for people to vote Conservative. Without the help of the unions, Mrs Thatcher would not have won in 1979. They convinced voters that the country was in a hole and it was time to stop digging. History is repeating itself though, now we don’t have any heavy industry, the unions’ shock troops are air stewardesses and railway signalmen rather than miners and car-workers. Labour Governments traditionally collapse amid economic chaos, industrial unrest and allegations of sleaze and graft. This time, the unions appear to think that a few years of a Tory Government with a small majority is a price worth paying if they can seize control of Labour when it’s in Opposition. For that plot to work, they must assume Labour could win the election after next and Britain would welcome into power a party led by someone like Ed Balls. Chillingly, they may only be warming up for battles to come. There is a real risk they will confront a new Conservative Prime Minister just as the unions took on Mrs Thatcher in the early 1980s. There will be riots on the streets before the year is out. Only then will we find out if David Cameron is just “the heir to Blair” or whether he’s got some of the Iron Lady in his soul. For the sake of Britain, let’s hope he’s a Thatcherite after all.